Instruqt is a gamified learning platform that allows IT professionals to take a deep-dive into technology in a fun and effective way, show their skills, and compete with friends, colleagues, and peers globally. The platform provides online courses, or “tracks,” in a range of leading cloud and DevOps technologies. Developers can play tracks built by other developers and build tracks themselves. Companies pay for a private instruqt environment, where they can play and create their own private content. However, developers can play the public tracks for free. 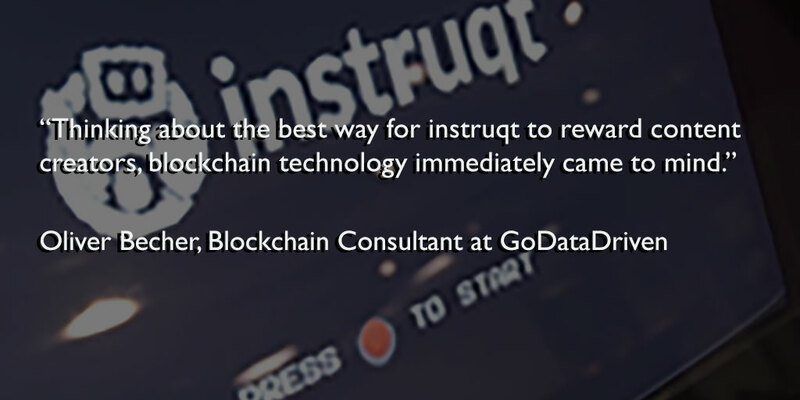 For Instruqt, GoDataDriven developed a blockchain-based reward model. “Using the platform is free, which of course is a good thing when we think about our goal: sharing knowledge,” says blockchain consultant Oliver Becher. “But the downside is that this also means users who build tracks are not yet rewarded for their efforts." “Thinking about the best way to reward content creators, blockchain technology immediately came to mind. Blockchain technology provides complete transparency about the transactions. Once the transaction model is live, developers using the platform will be able to find the smart contracts we wrote and all the transactions on instruqt in the Ethereum network." One of the advantages of smart contracts is that they leave any room for misinterpretation and are very transparent. Users know exactly what they pay or earn, and how much instruqt receives for each transaction. Another advantage is that smart contracts execute transactions automatically, paying out and collecting tokens immediately when someone plays a track, without the intervention of a middleman. According to Becher, people who build tracks on instruqt can earn tokens, which can be spent on the platform or exchanged for cash. Users who don’t build tracks but only play them can buy tokens on the platform to pay for those tracks. For maintaining and developing the platform, instruqt gets a small cut of every transaction. GoDataDriven chose Ethereum because it’s a mature technology in the blockchain space and has proven itself (and its development tools) in several applications: “Personally, I like to experiment with the newest blockchain technologies" said Becher. "However, as consultants, we don’t like to use unexplored and unadopted blockchain implementations. We need to be able to rely on the expected behavior and performance of the technology." 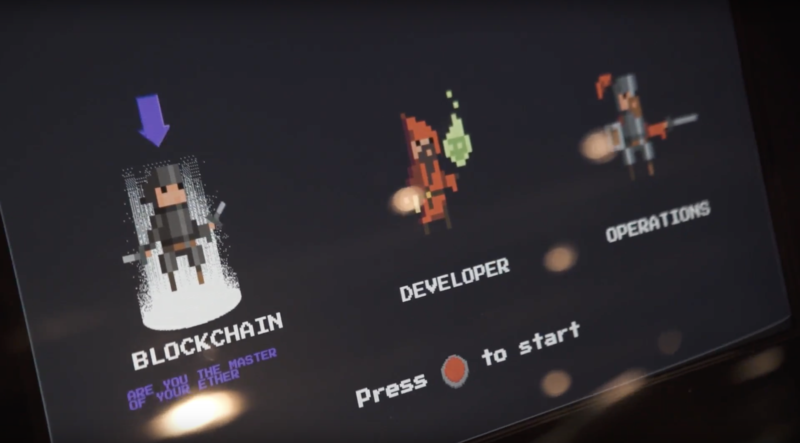 “Building the decentralized application is not the most difficult part of the blockchain payment model; integrating it with the existing instruqt environment is. We are now testing how we can connect the blockchain components that we built with the instruqt platform. Once instruqt can work with these services, and the smart contracts are functioning as expected, the next step will be to integrate the payment model with the live platform. This means that instruqt will run the smart contract on the public Ethereum network. The blockchain payment model could ultimately help instruqt improve its learning platform, by giving content creators a financial incentive to create even better content. “What I like about the blockchain reward model is that it goes beyond the buzz,” added Oliver. Becher built the blockchain track on instruqt. This public ethereum track shows how to set up a project, build and test smart contracts, and key functions of the ERC-20 standard (a common technical standard for ethereum-based applications). Would you like to learn more about GoDataDriven’s blockchain consultancy? Please get in touch for a free consultation on what blockchain could do for your business. And, check out our web page Blockchain for Your Business.